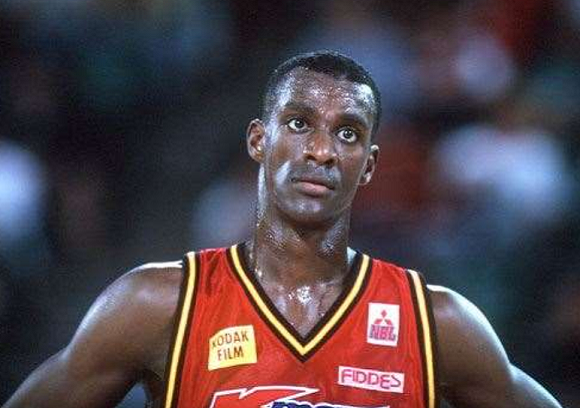 Having made Australia his home after moving from the USA as a 26-year old, Lanard Copeland’s legacy in this country has been secured with enshrinement in the Australian Basketball Hall of Fame. Born in Atlanta, Georgia, Copeland found a love for basketball from a young age but when he did not make the cut for his high-school team, he was told to find other pursuits. Copeland persevered though and in 1985, he was offered a scholarship to Georgia State University where he averaged 11 points and four rebounds while shooting 45% from the field across four years. 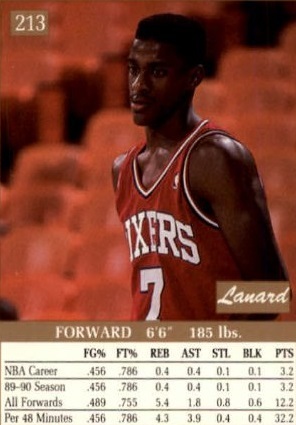 Going undrafted in the 1989 NBA Draft, Copeland later signed as a free agent with the Philadelphia 76ers and played a combined 50 games in the league after a stint with the Los Angeles Clippers two years later. Injury prevented him from gaining a consistent roster spot and after a short period in the Philippines, Copeland found his way to Australia to play in the NBL- a decision that would change his life permanently. He joined the Melbourne Tigers in 1992 and played alongside the only Australian player he knew, Andrew Gaze, with the two helping to create one of the most successful teams in NBL history. Copeland was an All-Star in his first season and went on to claim seven All-Star awards from 1992-1997 as well as in 2004 and 2005 while he revolutionised Australian basketball's aerial game with his high-flying dunking and incredible athleticism. He was named to the All-NBL Second Team in his debut season as well, going on to claim All-NBL First Team honours in 1999 and 2002 and All-NBL Third Team honours in 1996 and 2000. 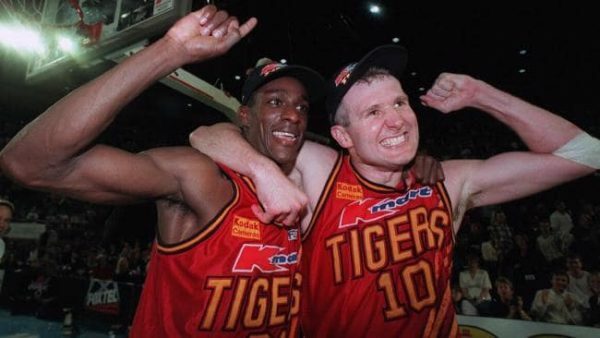 1992 saw the Tigers reach the Grand Final for the first time and while they fell in a three-game series to the South East Melbourne Magic, Copeland quickly helped the Tigers atone the following year. After a 2-7 start and a third-placed finish at the end of the regular season, Melbourne found form in the finals and were crowned NBL Champions for the first time with Copeland averaging 22.2 points, 2.8 assists and 1.9 steals per game overall. 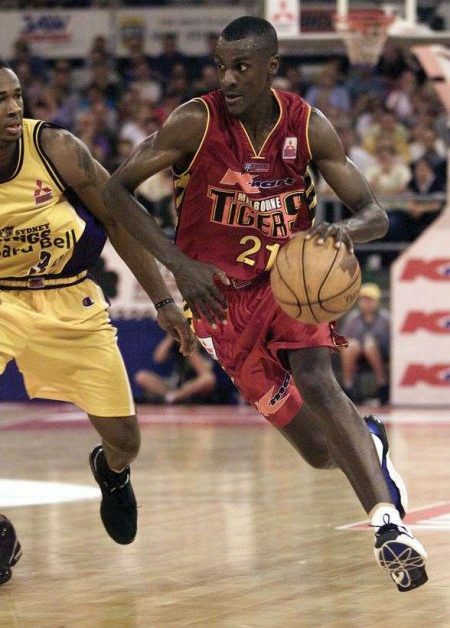 In 1997, Copeland was a part of one of the greatest NBL teams of all time and he stamped his authority on the league by being named the Grand Final MVP as the Tigers clinched their second Championship. Through the playoffs, he did a bit of everything with 23.8 points on 44% shooting and 38% three-point shooting, 4.2 rebounds, 3.8 assists and two steals per game. Finishing his time with Melbourne after 14 seasons, Copeland went on to play three more years in the NBL with Brisbane and Adelaide before retiring in 2008. Over 532 games (sixth most all-time), Copeland amassed 10,735 points (fourth all-time), 1,242 three-pointers (fourth all-time), 641 steals (14th all-time) and 1,577 assists (17th all-time) in the NBL. Now an Australian citizen, Copeland has remained tight with the sport, serving as a mentor to young players at the Australian College of Basketball, as a Big V coach in Victoria and as assistant coach for the Sydney Kings alongside his old team mate, Andrew Gaze. Copeland will be inducted alongside seven other icons into the Australian Basketball Hall of Fame on May 10.